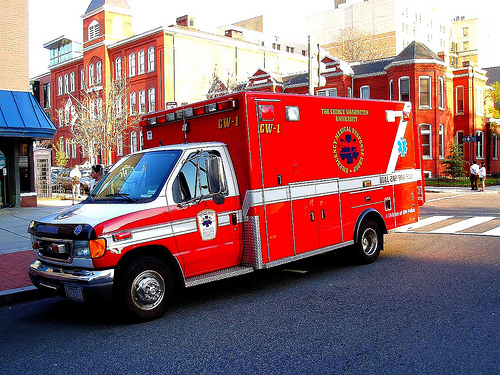 Both emergency and non-emergency medical situations can benefit from the right medical transport to the hospital. Here are some things you need to go through to determine which one is right for you. Step 1: Determine the condition of the patient. This will often indicate if a ground transfer or an airlift via helicopter is more effective without unduly straining the patient. Even for ground transport, you still have the choices to go for an ambulance or not. If the distance is far and you or your patient will need medical care while in transit, then an ambulance is the way to go. Step 2: You have a number of options in transporting a sick or injured person. The first instinct would be to call 911 in cases of emergencies. Otherwise, you can check the yellow pages or browse online to do some cost comparison of your options. Online resources have becomes quite popular in helping people make purchase decisions. The same goes for medical transports. If the patient is currently confined in the hospital, or you have made a reservation to be confined to that hospital, then the hospital itself can provide the ambulance or 3rd party medical transport bureau. This is the better alternative since the responsibility of the hospital extends while in transit. Step 3: Under all conditions, check if your insurance policy covers medical transport. Bear in mind that not all do and most impose some stringent conditions for you or the patient to quality for reimbursement, like a document from your doctor certifying to the need. Medicare, for instance, covers ambulance services only when your condition warrants it, such as emergencies requiring oxygen and skilled medical help while in transport or when you’re bleeding or unconscious. But even non-emergency cases can be covered partially if supported by your doctor’s certification that you couldn’t be transported by other modes. Step 4: Check with your health insurance broker or company if it has a listing of preferred medical transport company they can recommend in case your policy covers it. This should make it easy to get your expenses readily reimbursed. Step 5: Convalescing patients discharged from the hospital may also opt to get an ambulance if their conditions require to be transported in a horizontal position. Again, the discharging hospital can recommend the medical transport services for this. For many people, at the end of the day, budgets and time may be constraining factors in the choice of medical transport, often taking chances with non-medical vehicles. But a quick call to 911 should bring the right medical response to any emergency.